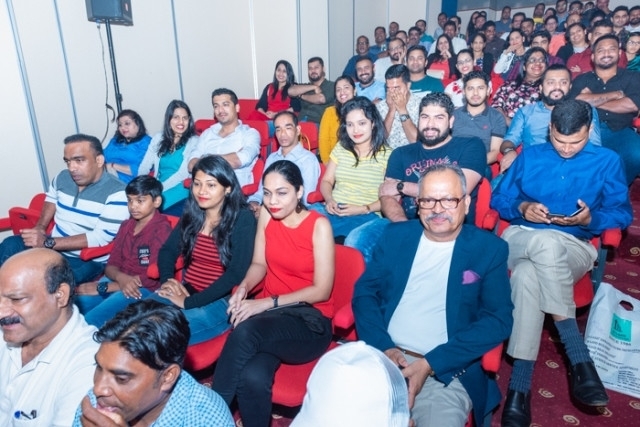 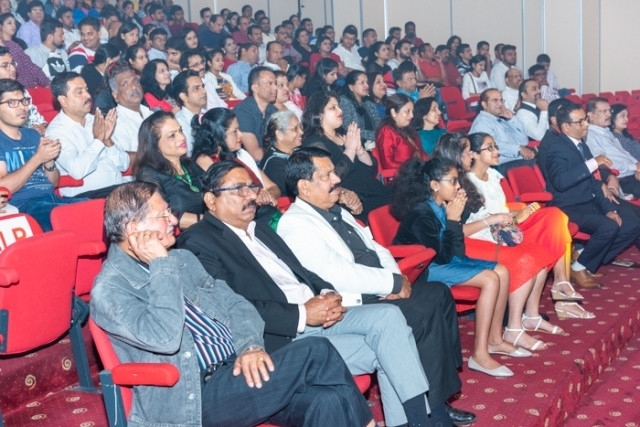 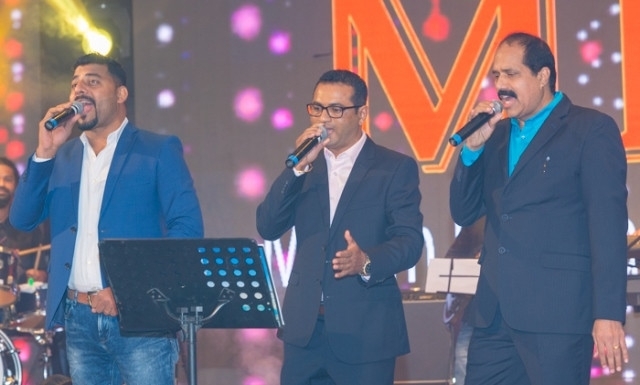 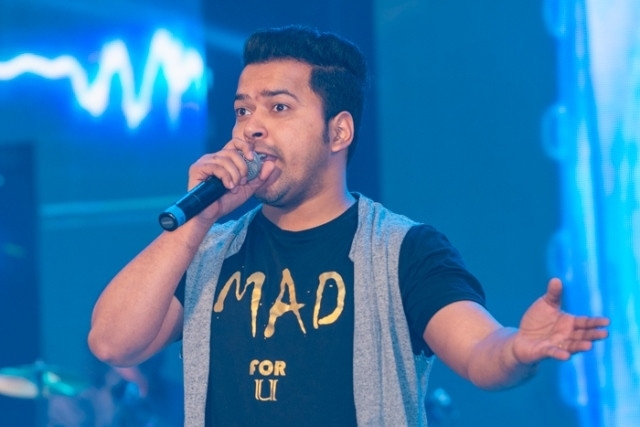 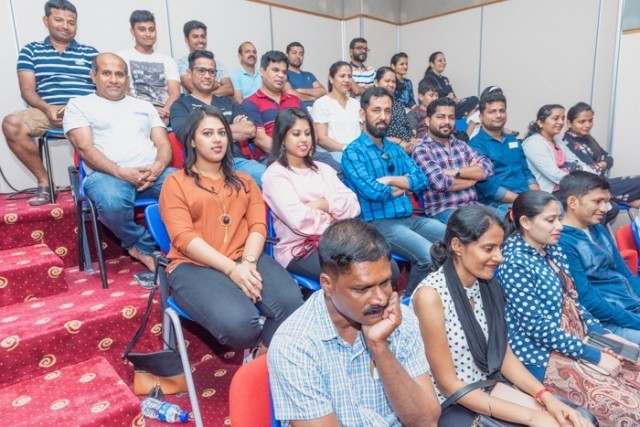 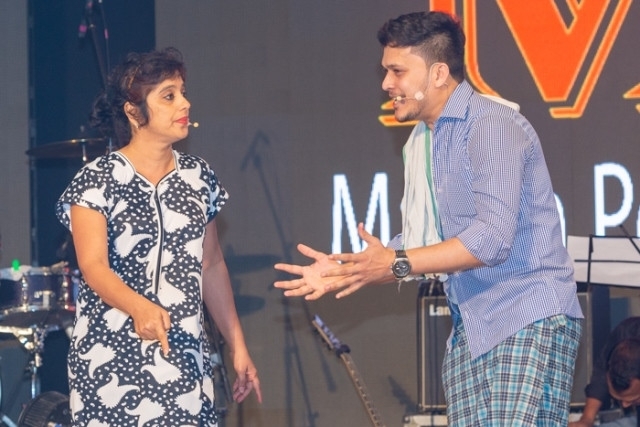 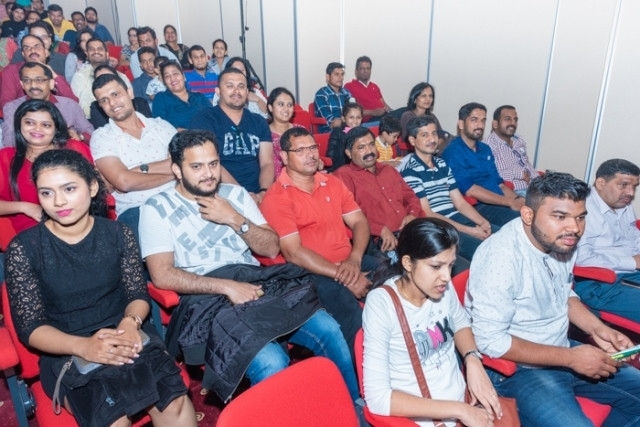 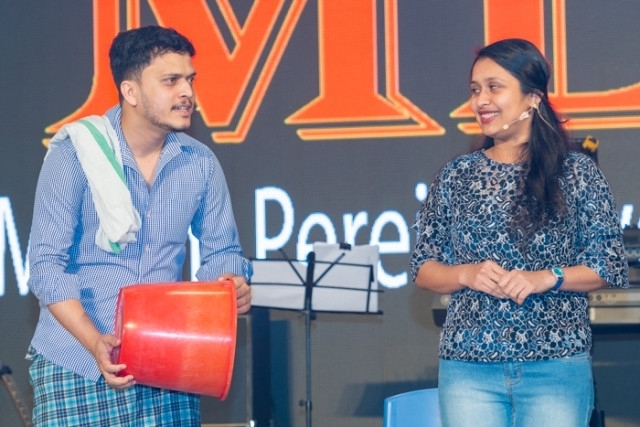 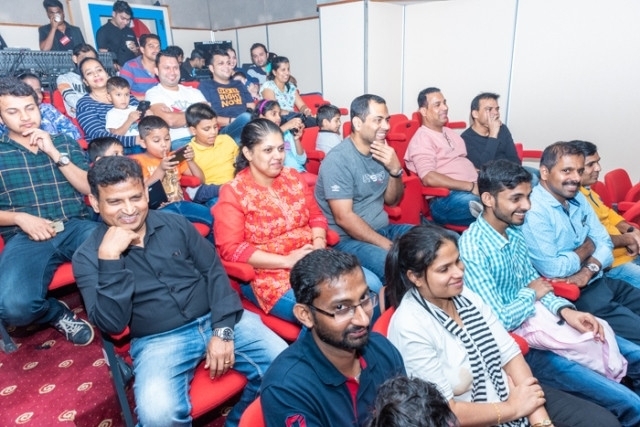 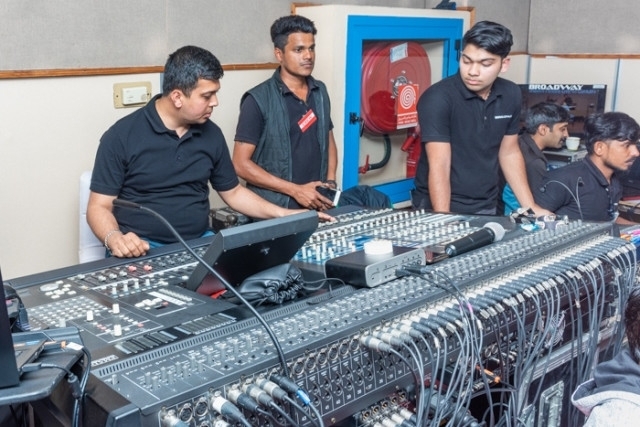 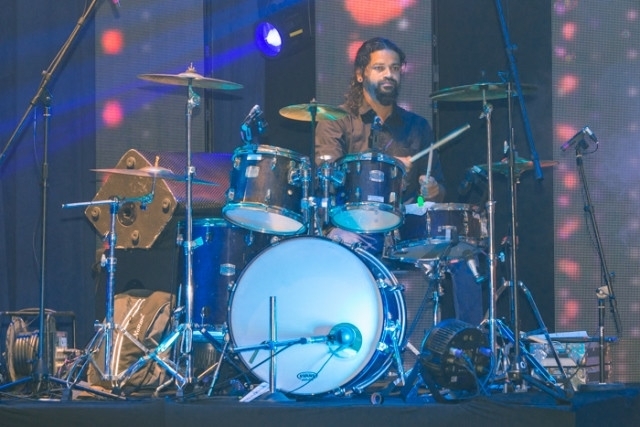 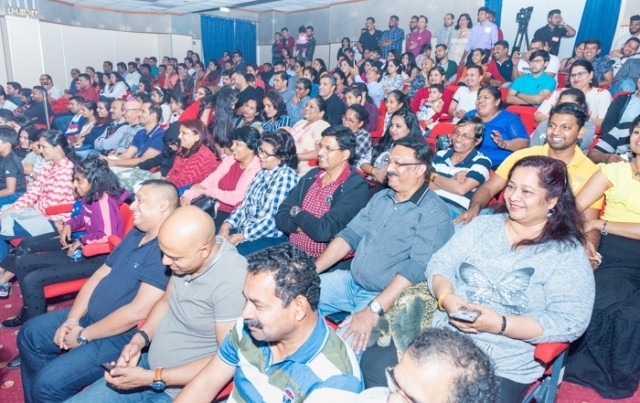 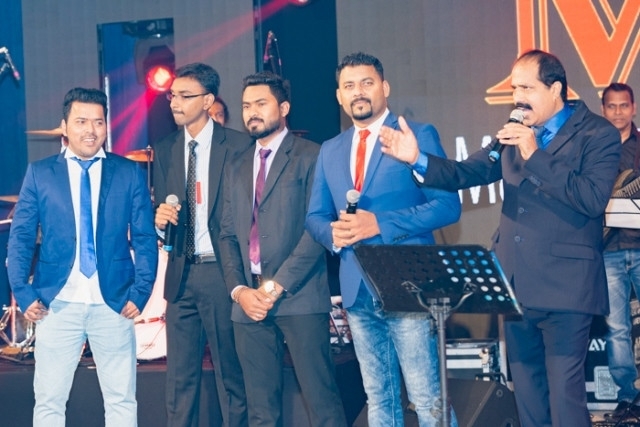 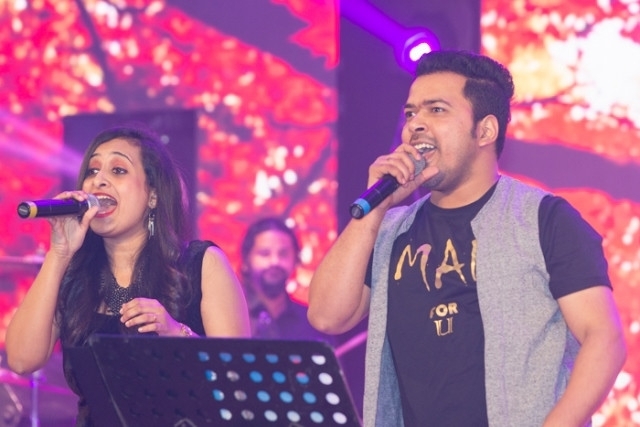 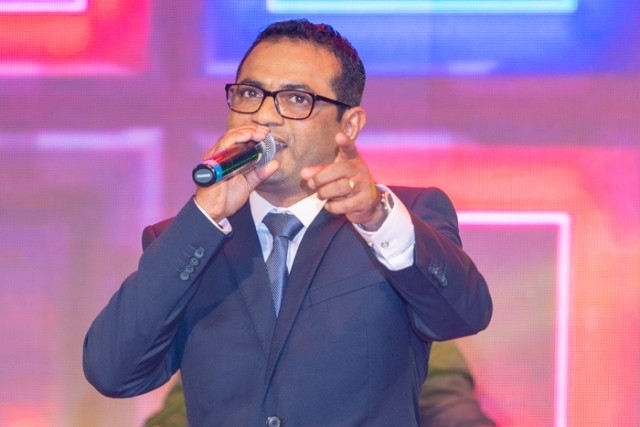 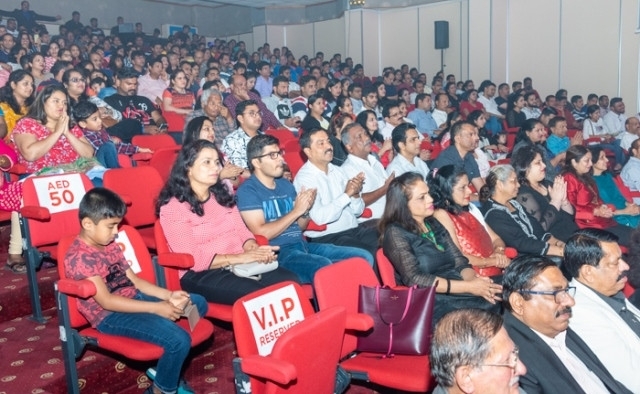 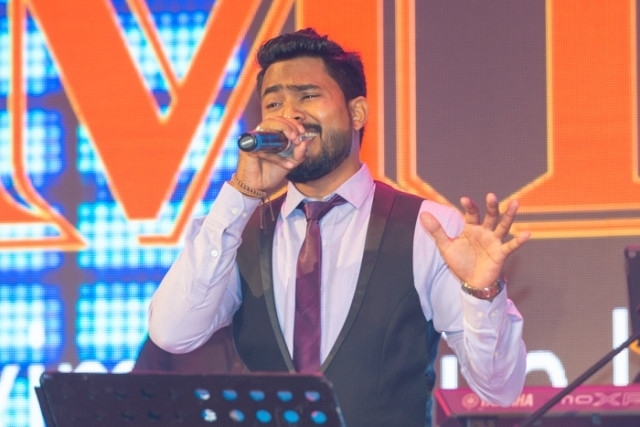 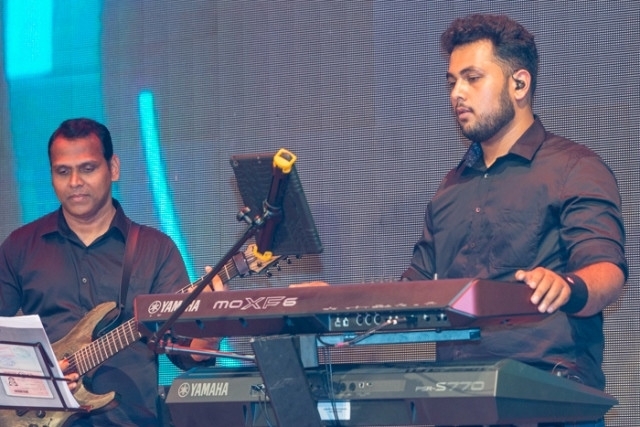 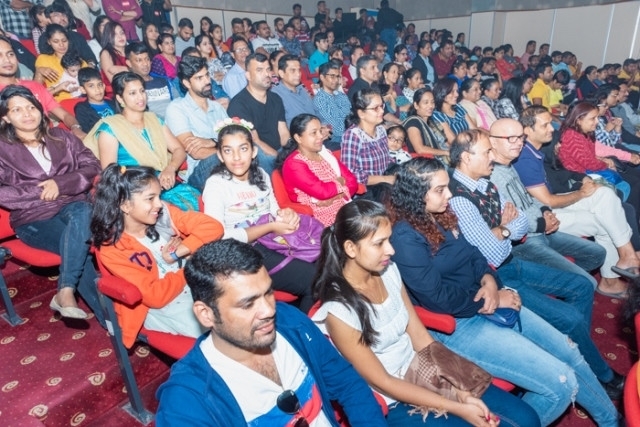 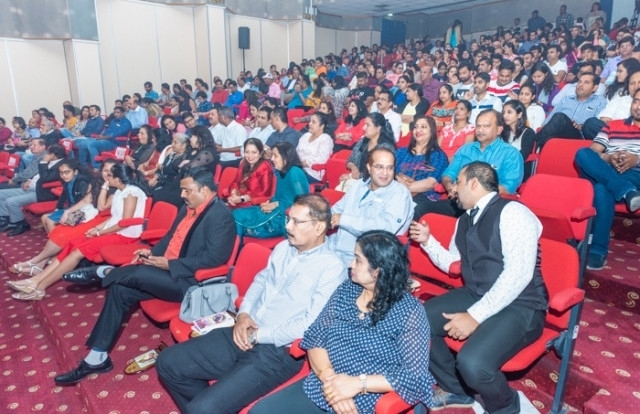 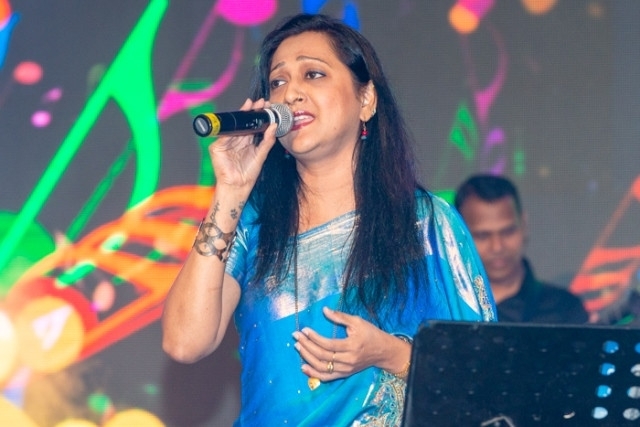 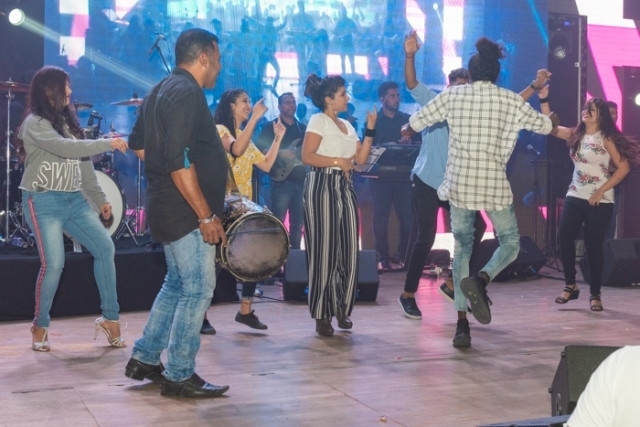 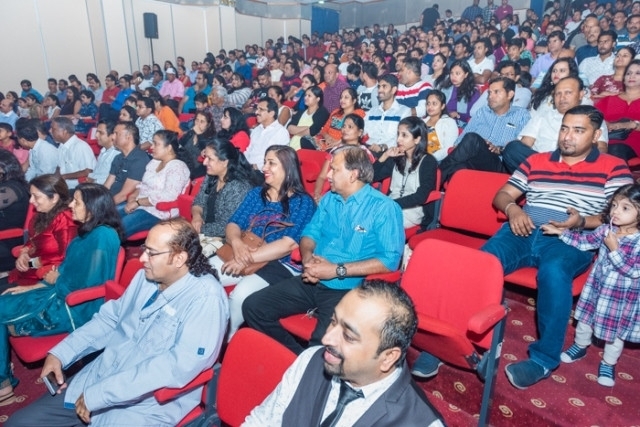 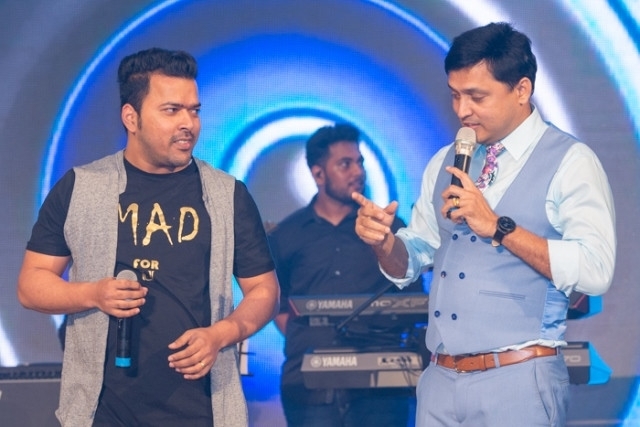 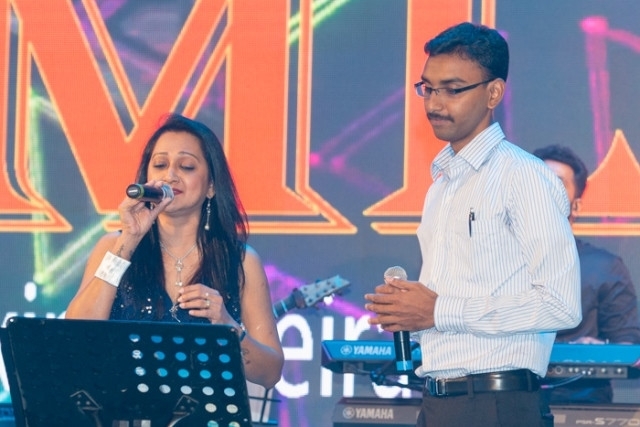 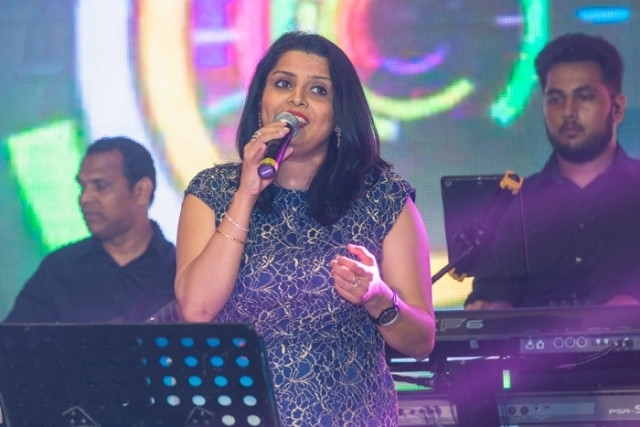 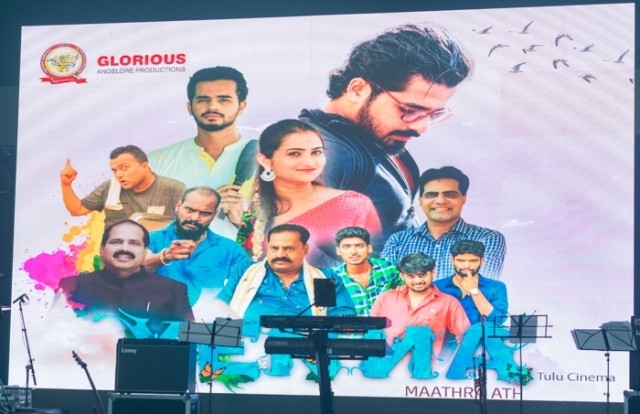 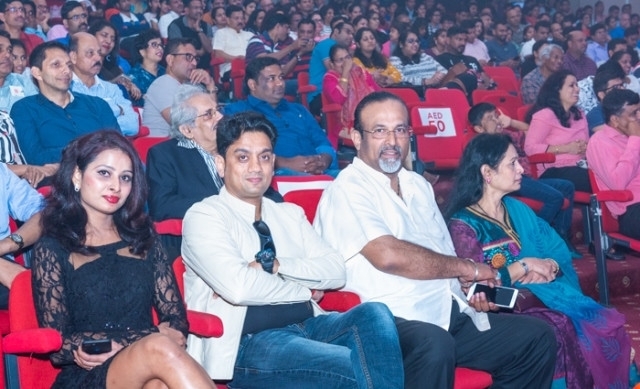 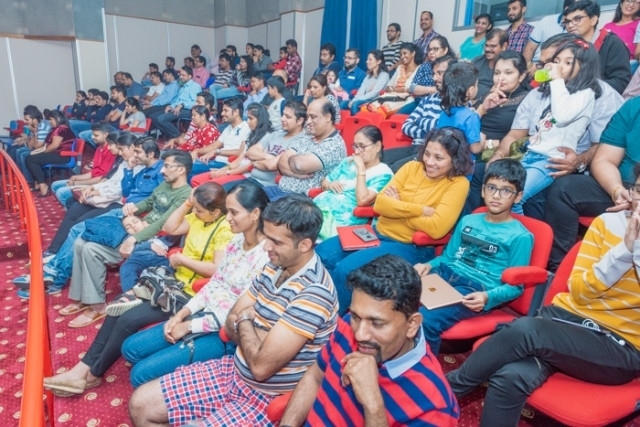 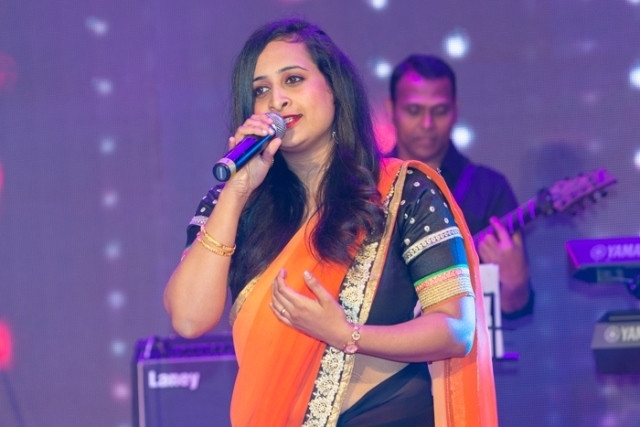 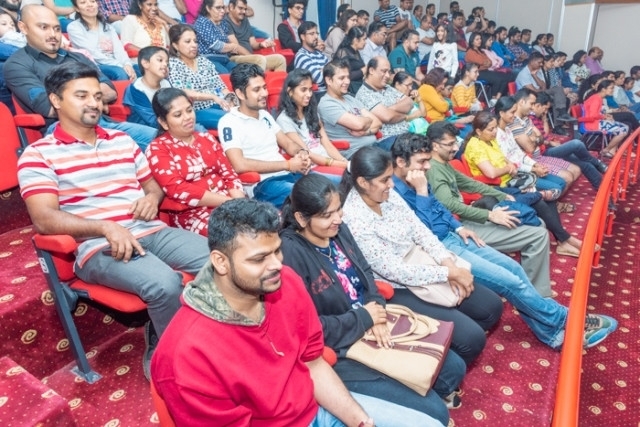 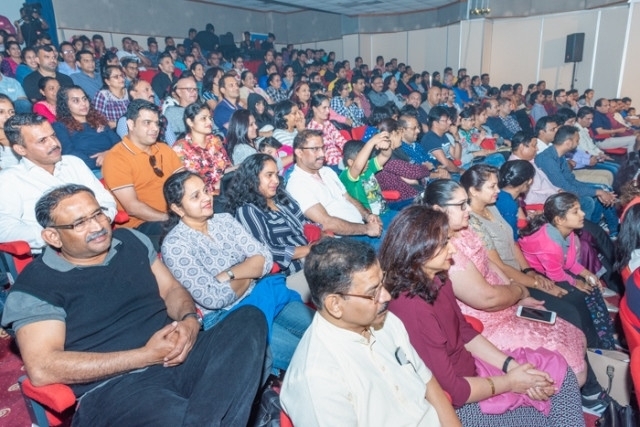 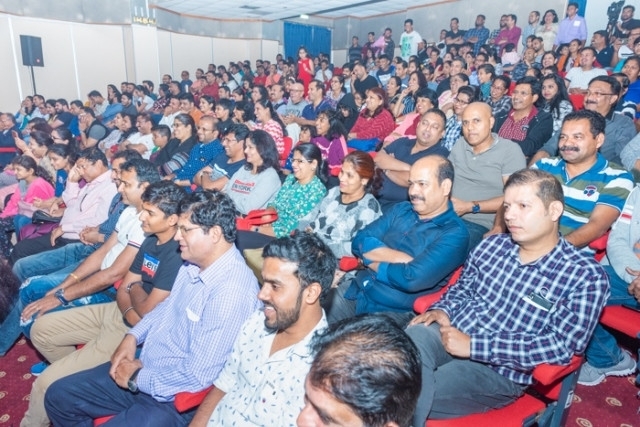 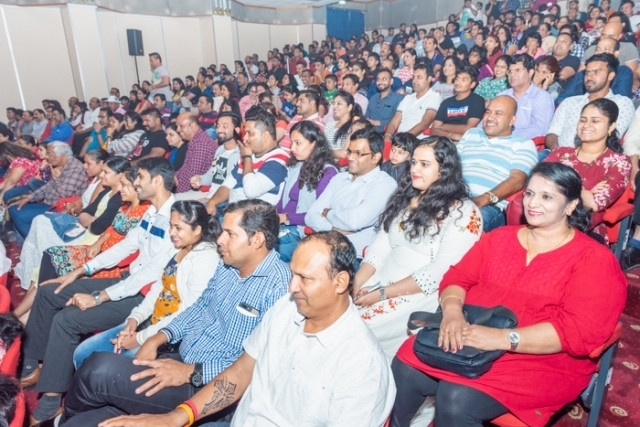 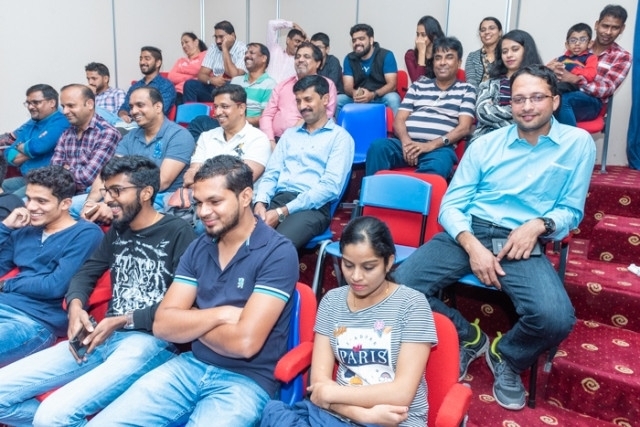 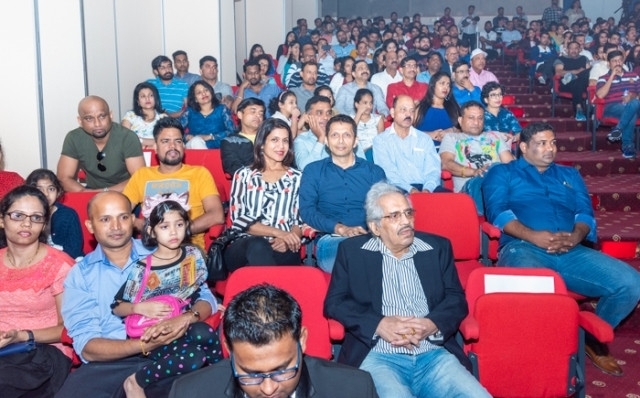 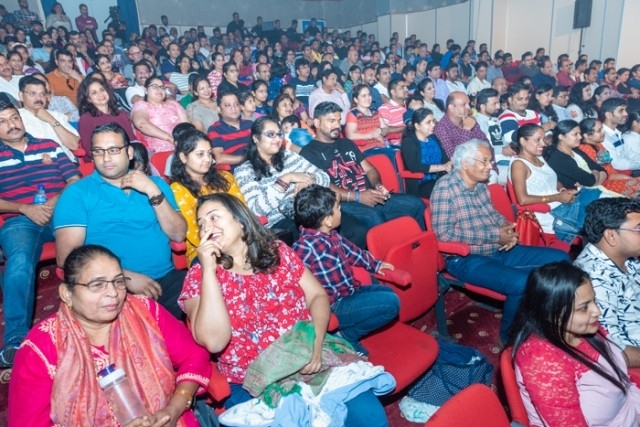 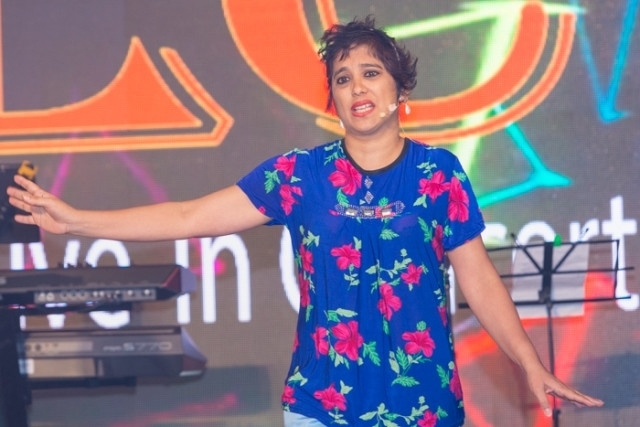 ‘Yuva Prathiba / Melody Star’ Maxim Pereira Anjelore’s ‘Maxim Live in Concert’ (MLC) along with top notch artistes of G-major Anjelore rocked Dubai audience with their spell bound four and half-hours’ non-stop cent percent entertainment programme which took the jam packed audience into a musical journey. 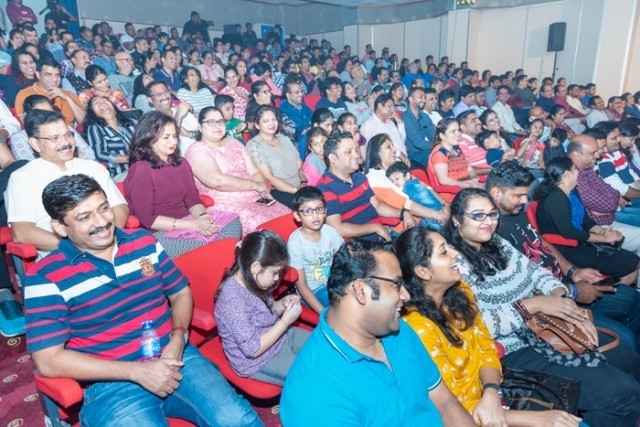 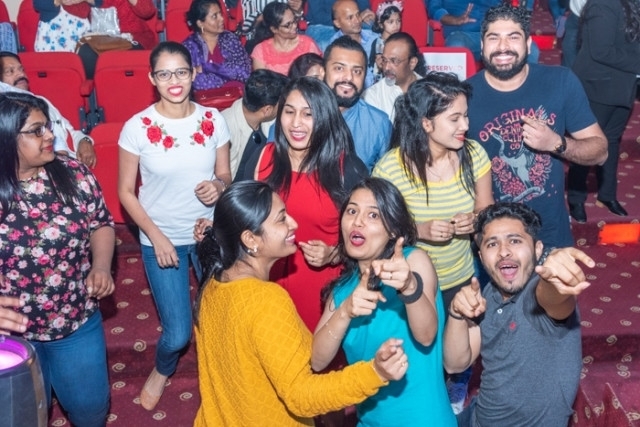 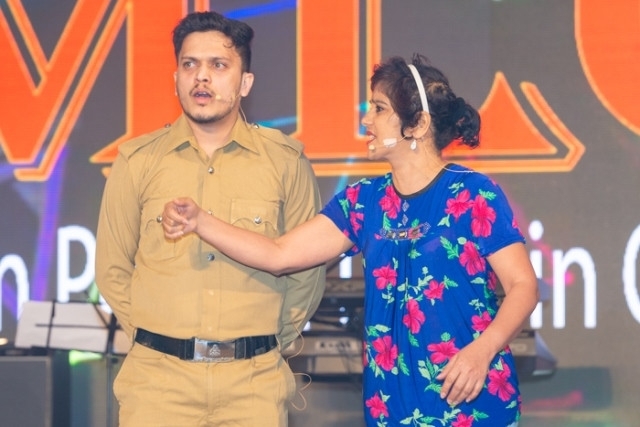 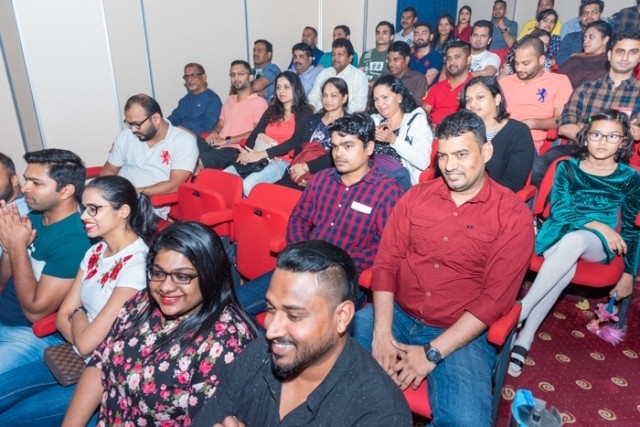 The ticketed show in association with Maestro Events was held at Emirates Theater, Jumeirah on Friday the 1st February, 2019. 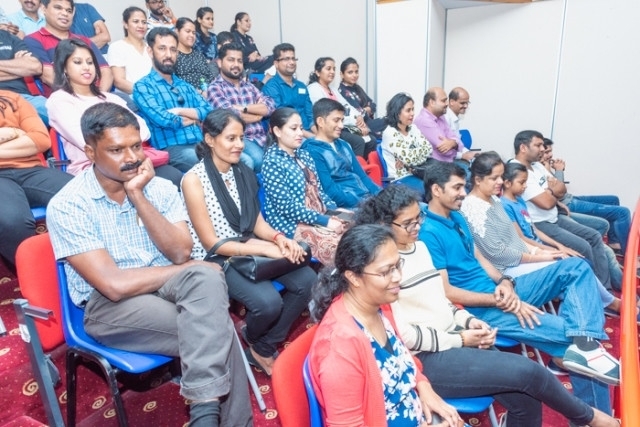 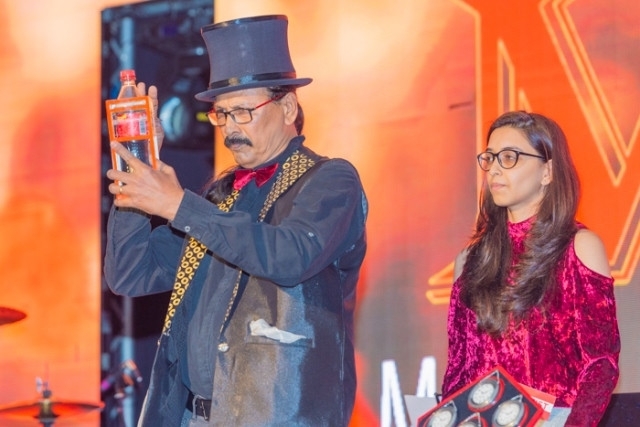 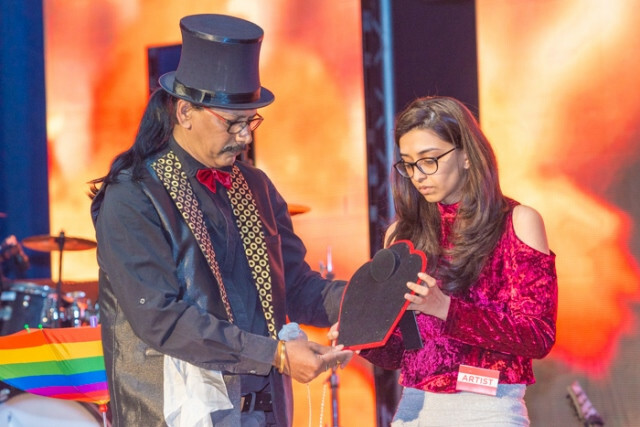 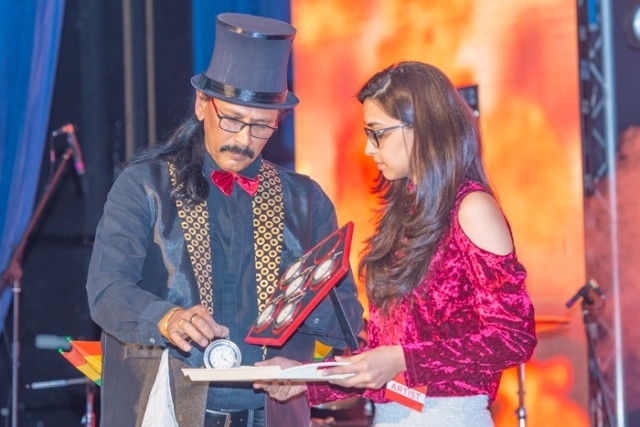 The programme started at around 5.45 pm with introduction of our own Magician Antony Mascarenhas who then performed spell bound magical presentations very well applauded by the audience. 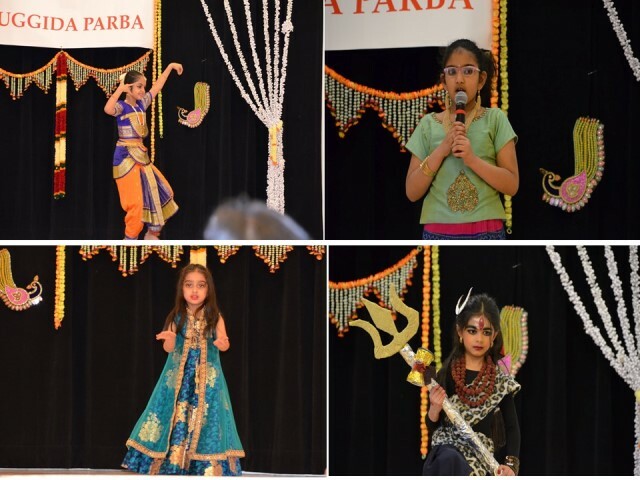 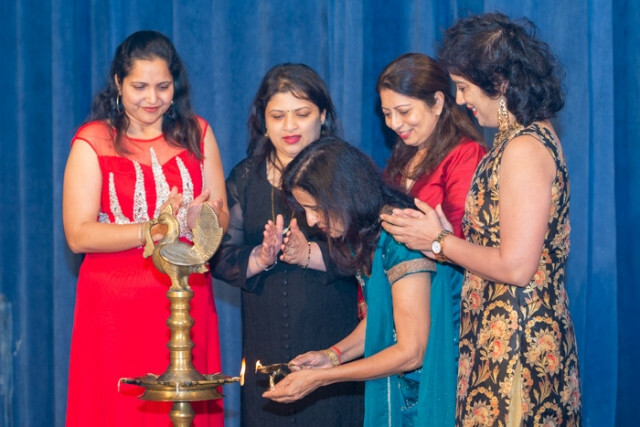 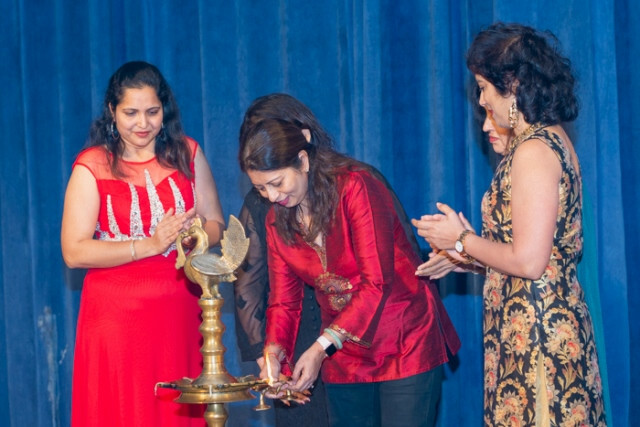 Later Guests Jacinta Mendonca, Shoba Mendonca, Lavina Fernandes, Asha Correa & Nisha Pereira officially inaugurated the programme with lighting the traditional lamp. 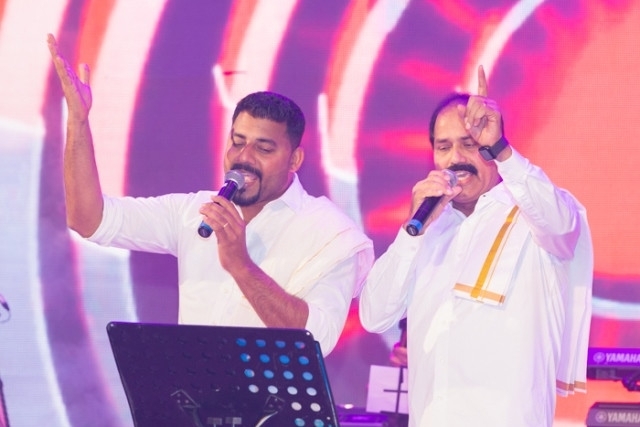 The formal stage programme continued with Arthur Pereira’s Maa Creation & Lloyd Rego Thakode’s ‘Jezu Muja Moga’ CD release. 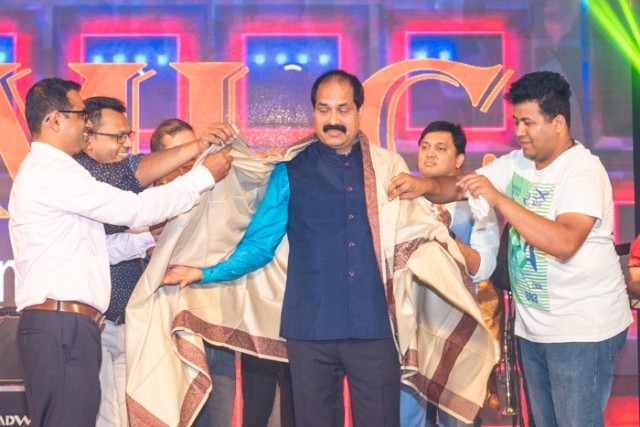 Joseph Mathias escorted James Mendonca who did the honours. 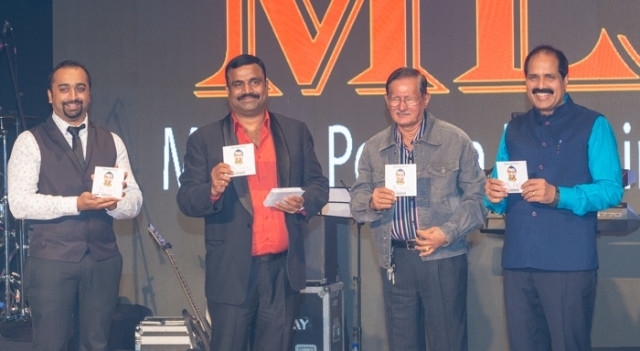 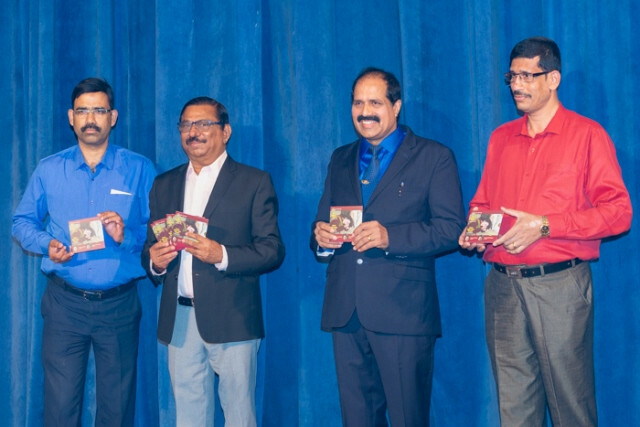 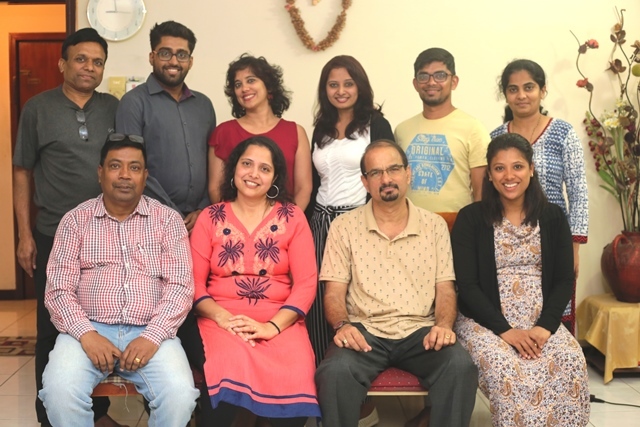 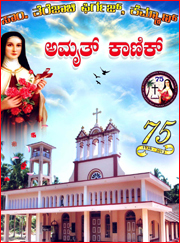 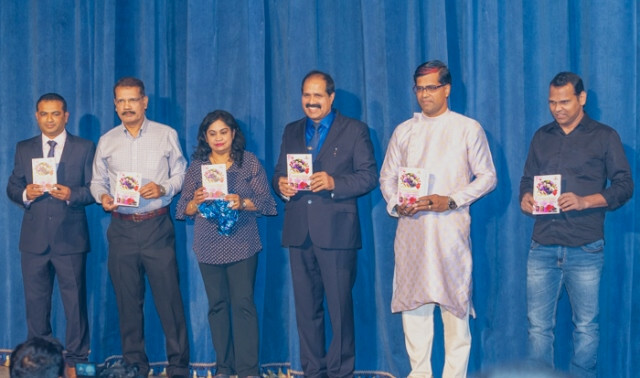 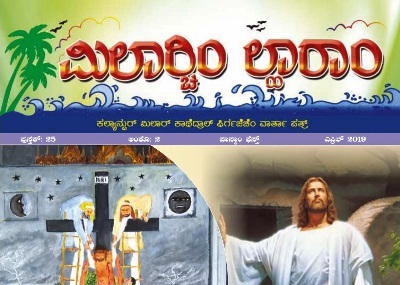 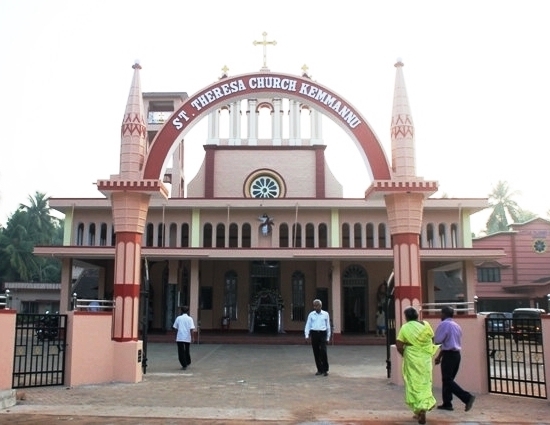 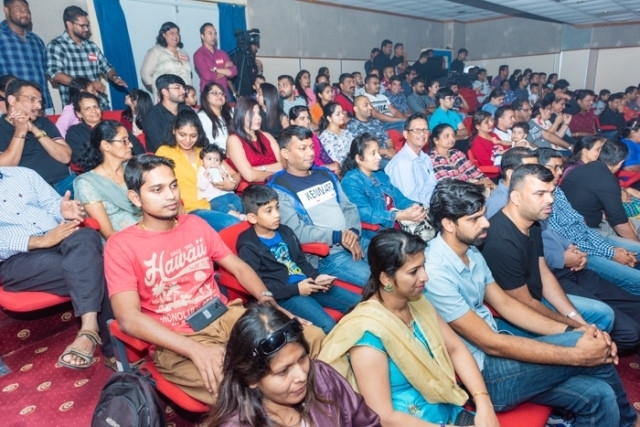 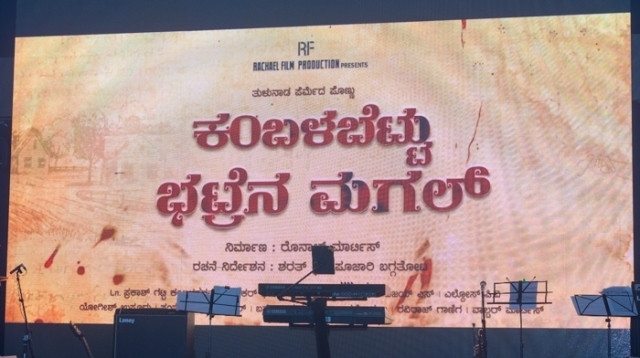 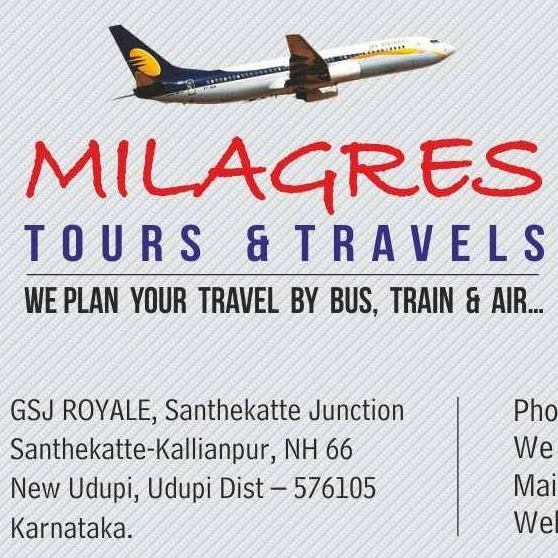 Followed was Orson D’Souza’s ‘Awesome Orson – Mii Ya More’ CD release which was done by Patron of Sharjah Karnataka Sangha, Mark Denis & Producer of Tulu Movie, Ronald Martis. 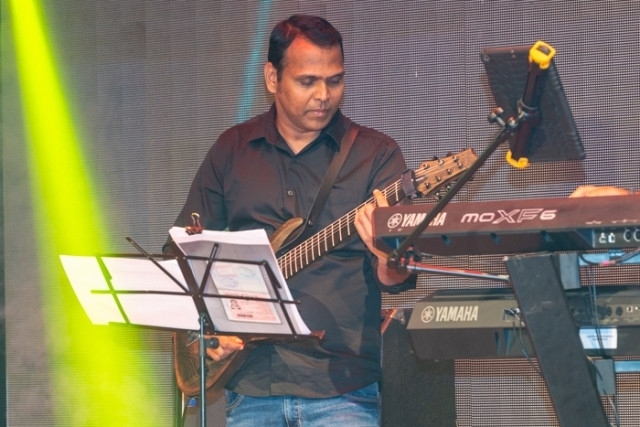 On the same stage Musician/Producer, Canute Mathias’s CD was also released. 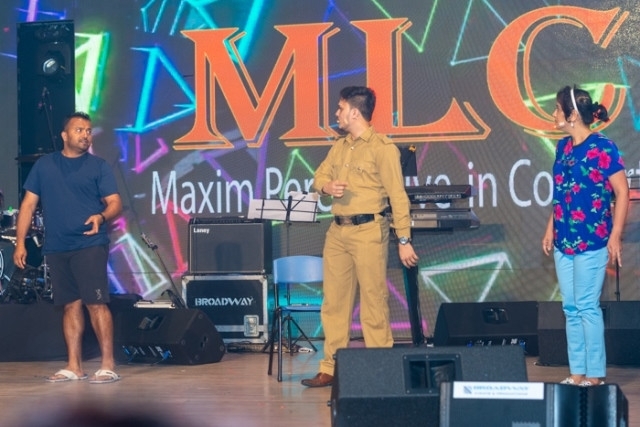 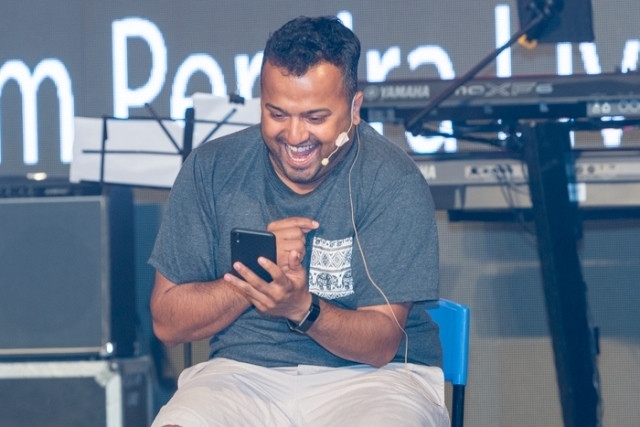 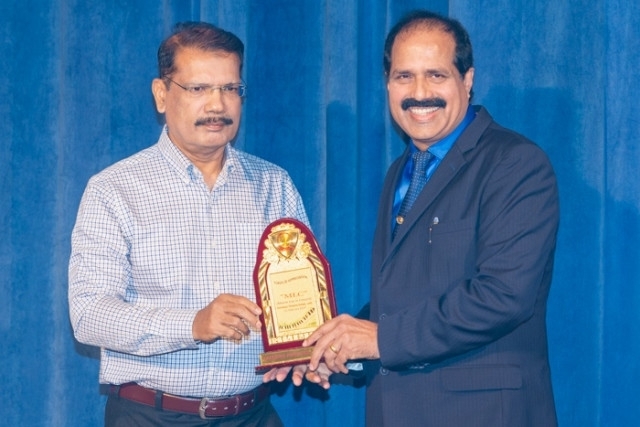 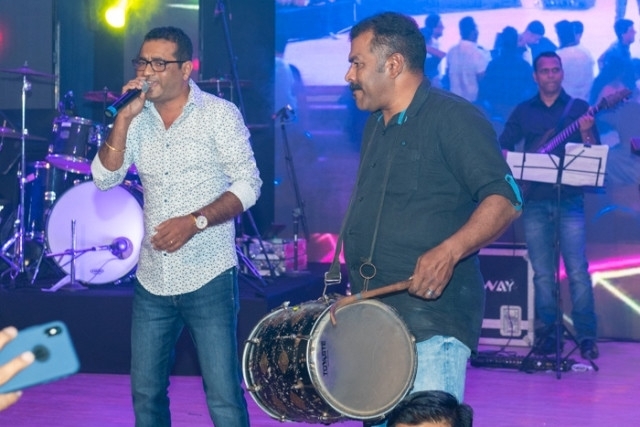 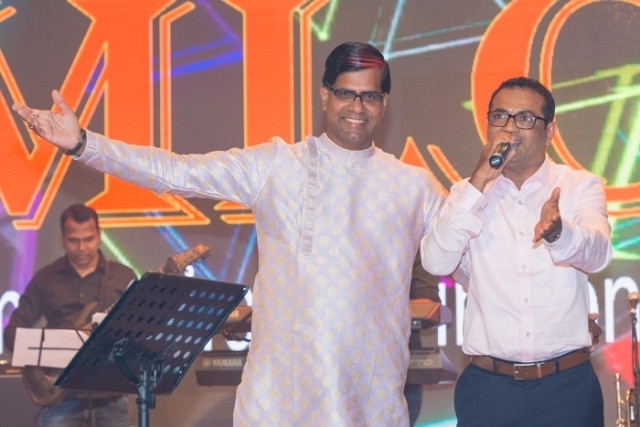 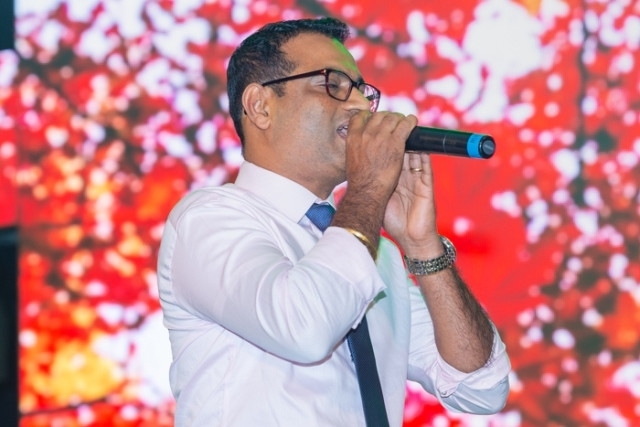 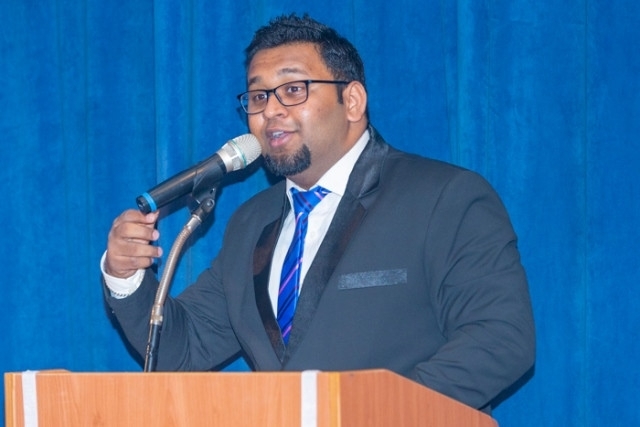 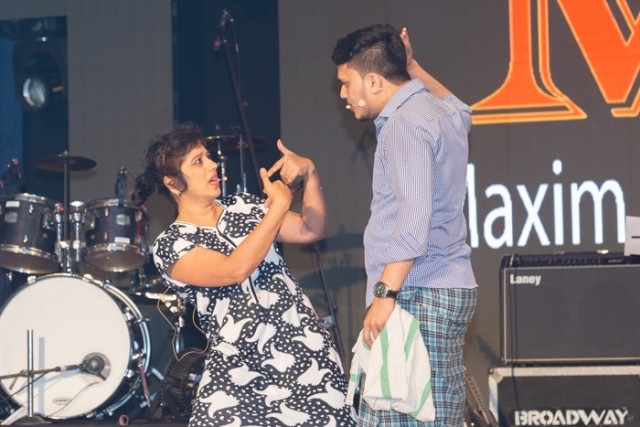 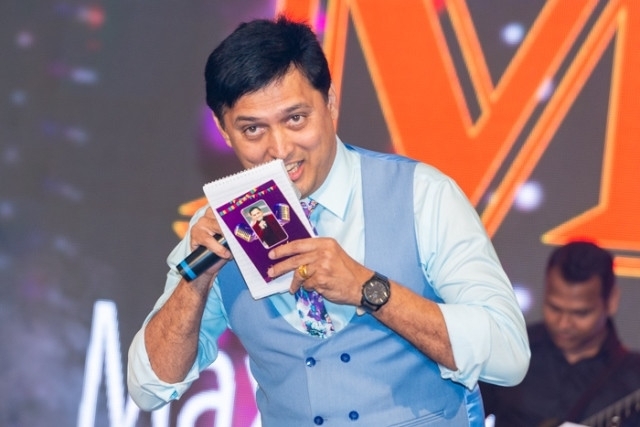 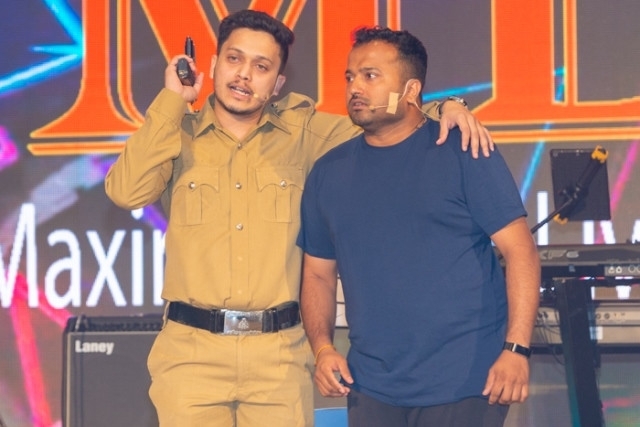 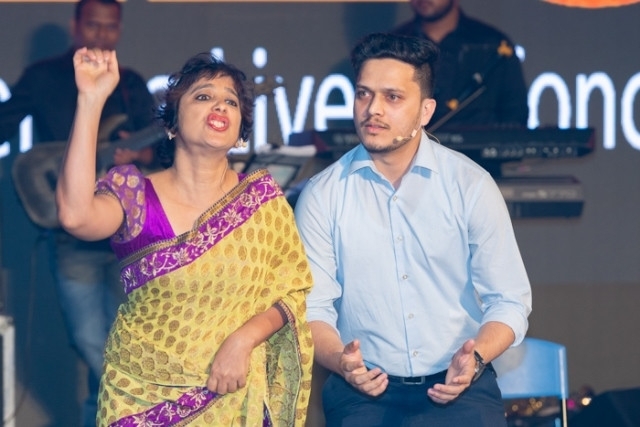 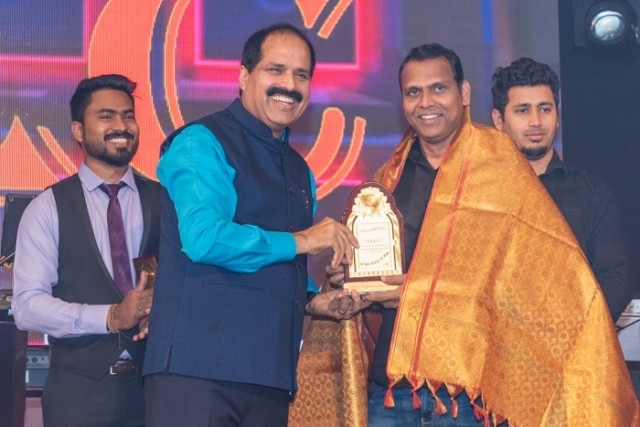 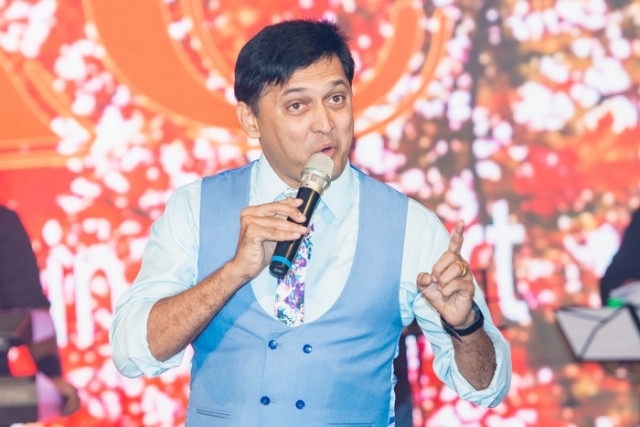 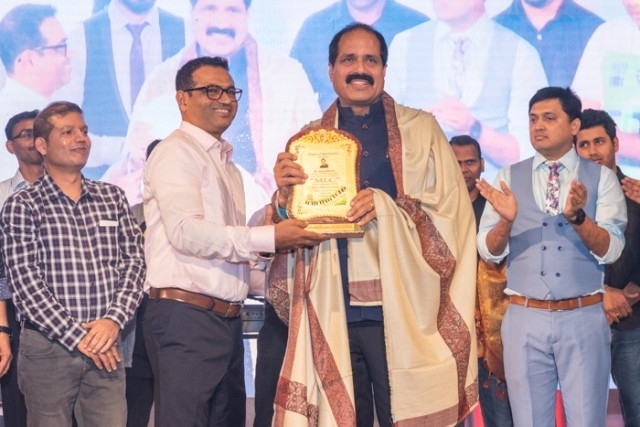 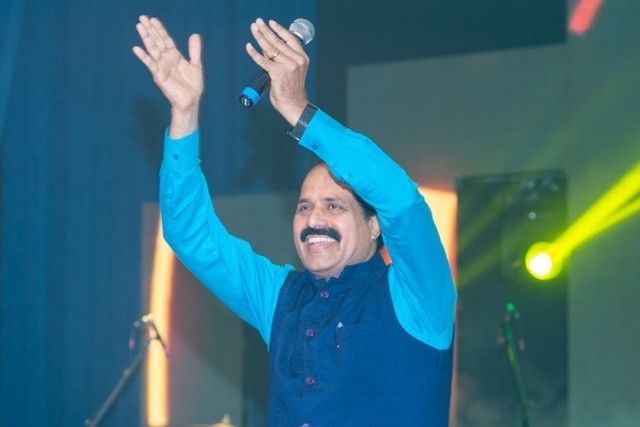 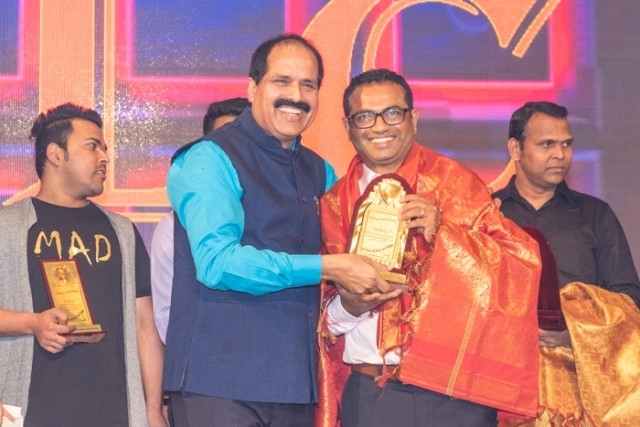 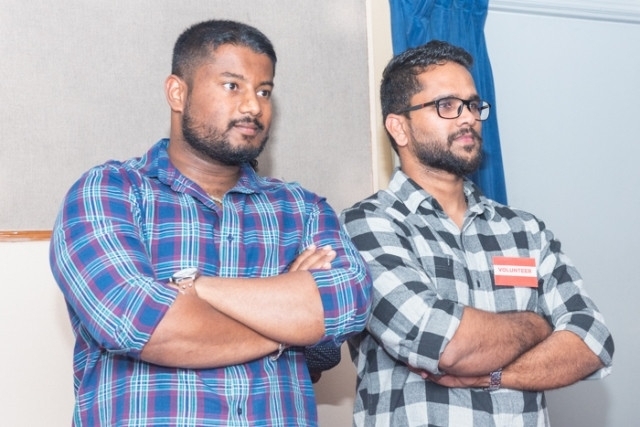 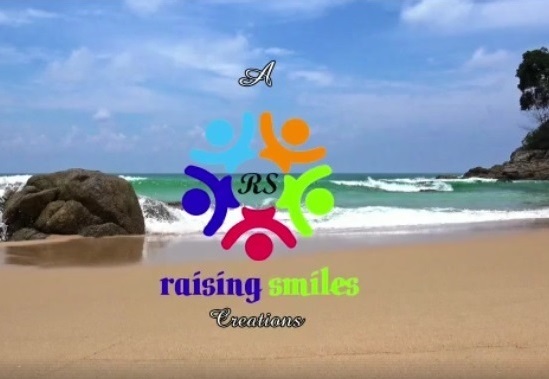 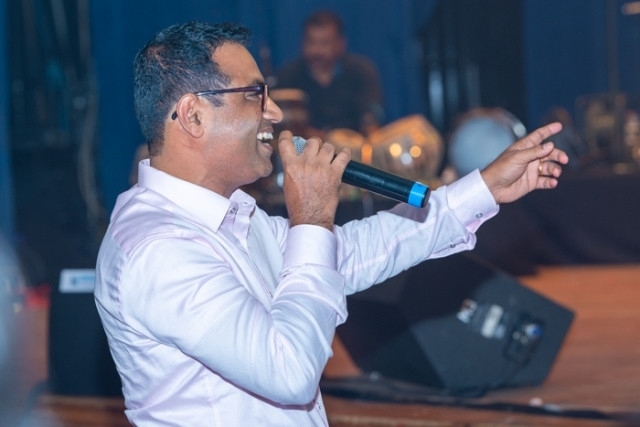 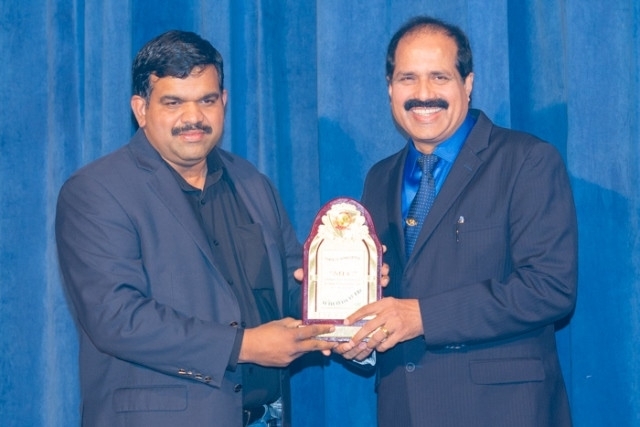 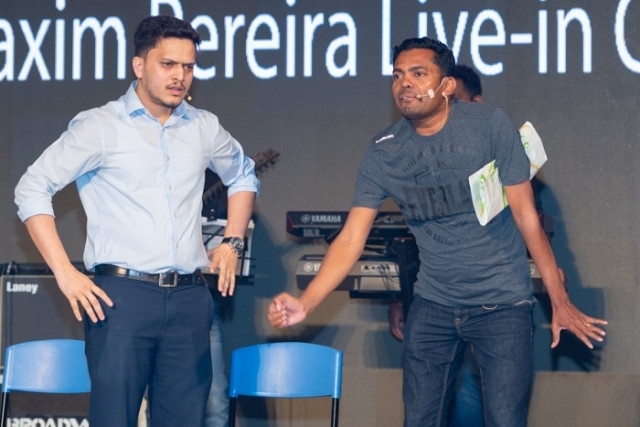 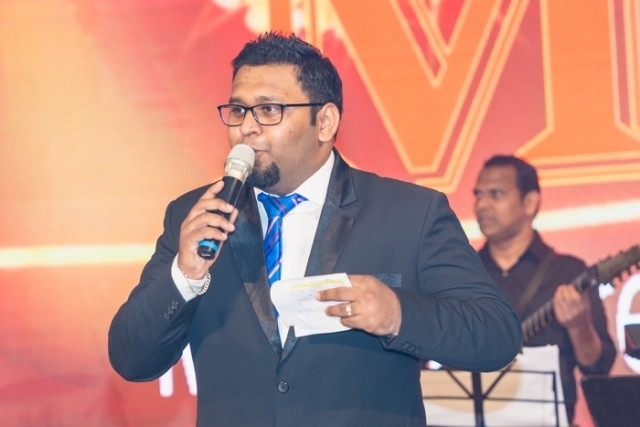 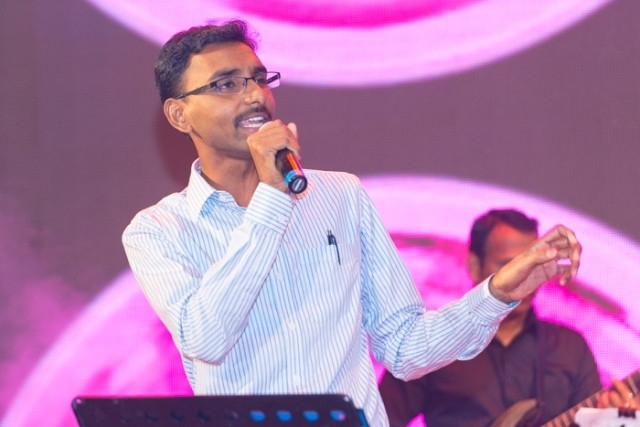 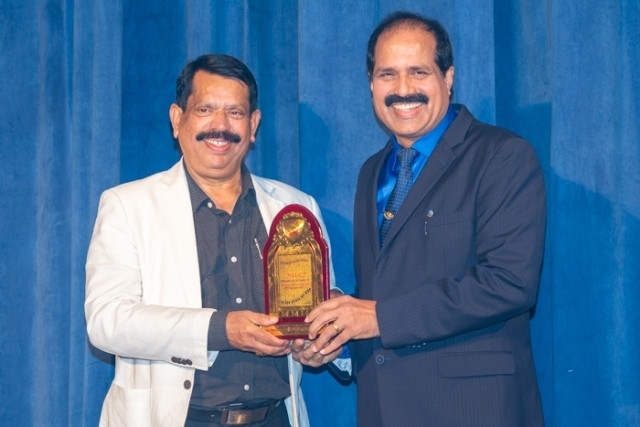 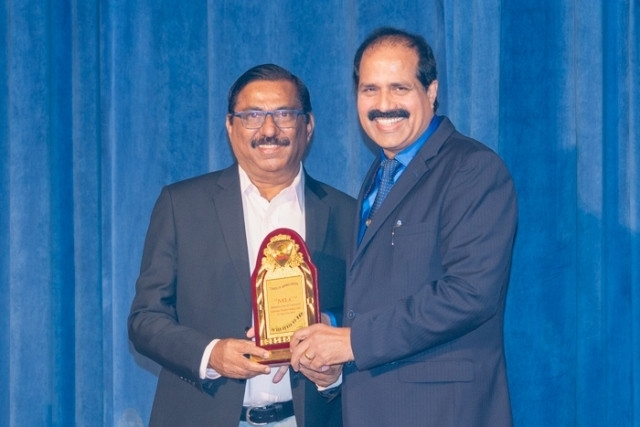 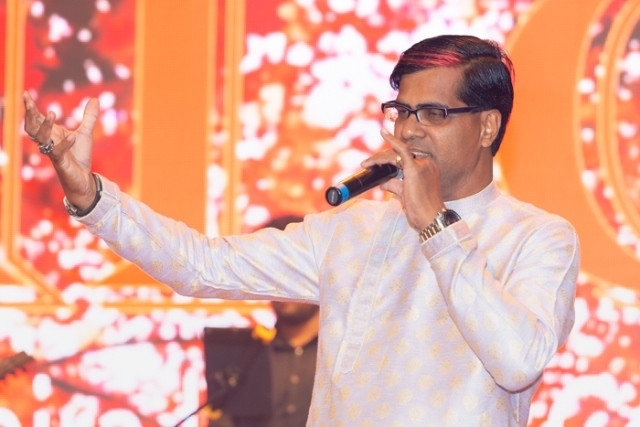 Keerthan was introduced by Maxim Pereira and all the formal stage programme was ably conducted by MC Vernon D’Souza who later beautifully introduced the famous one and only MC Roshan D’Silva Vamanjoor to command the entertainment part of programme. 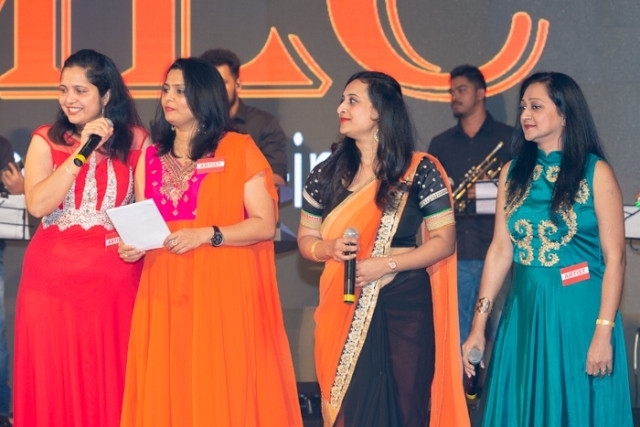 Roshan introduced Joseph Mathias & Team who render a beautiful number ‘Rome Sheher’, followed by Dony & Asha Correa’s ‘Ho Eklo Cholo Choli’ & Anson-Sabitha duo sang ‘Moghachi Dhaag’. 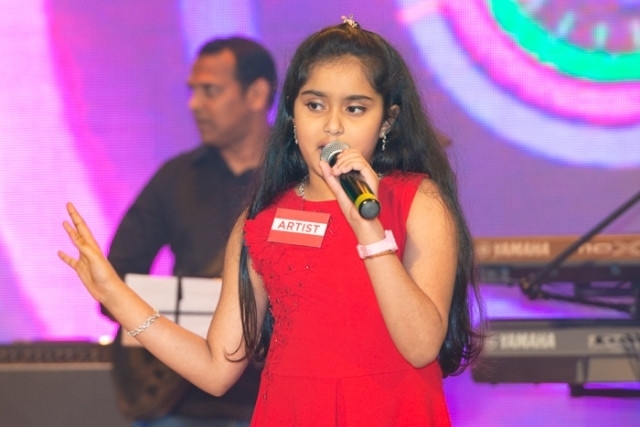 Baby Tiana Mathias ‘Oot Munshya Poile’ was superb singing which was very well applauded by the audience. 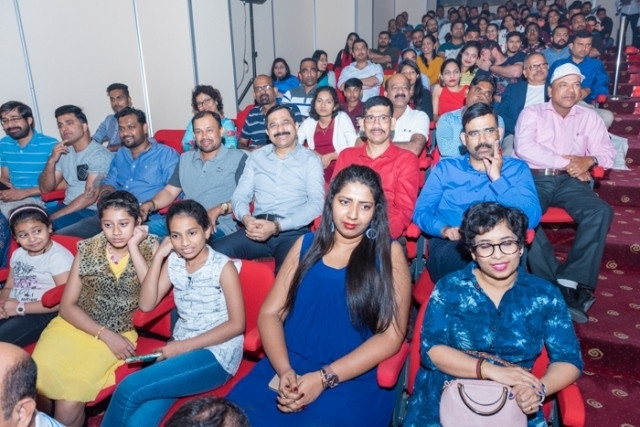 Later Priya Menezes sang ‘Mogache Yene’, Maxim sang ‘Tuka Muji Rani Kartha’, Preema with ‘Tuttlem Sopan’, Joseph & Dony with ‘Dony Duje’, Sabitha’ ‘Ye Rasnara’, Melwyn’s ‘Joylina’ got a thunderous response from the crowd with his interaction. 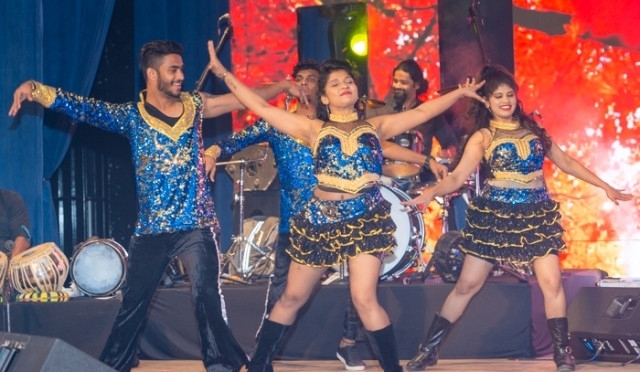 Maxim’s ‘Manasa was another beautiful number well presented with the dance and appreciated by the whole audience. 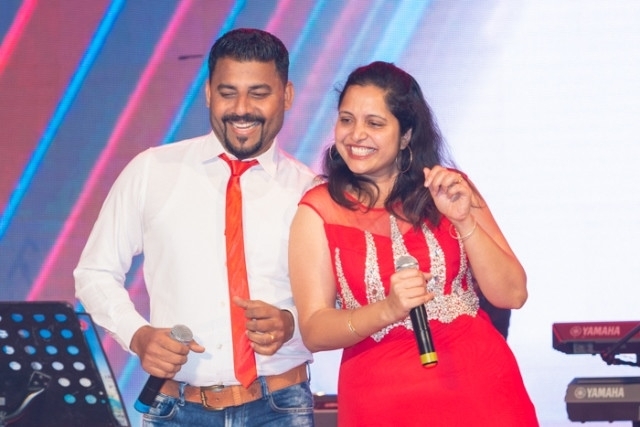 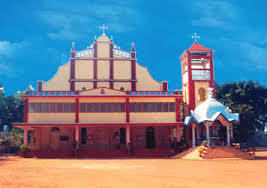 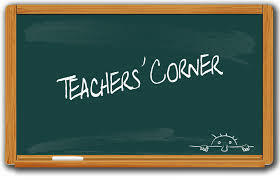 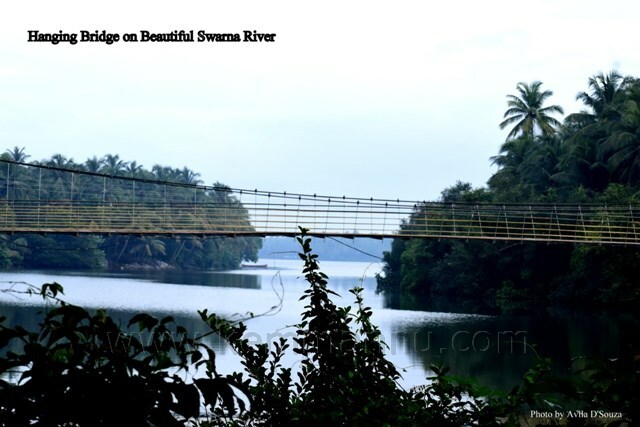 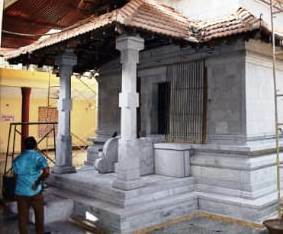 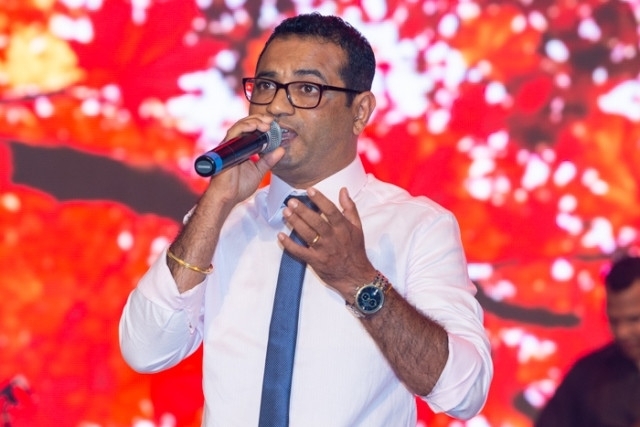 Followed was ‘Dolly’ by Anil, ‘Mogache Geet’ by Anson, ‘Marghai’ by Joseph Mathias, ‘Mog Udtha Maka’ by Melwyn & Priya & ‘Maina’ by Canute Mathias who revealed that this song was penned by Maxim to his wife Nisha long back. 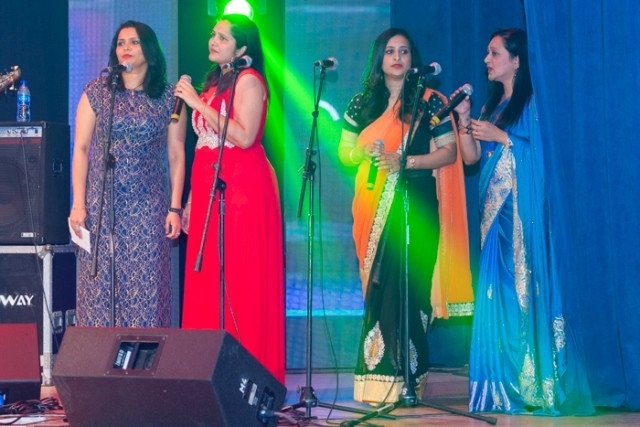 ‘Zodya bes Lagnacho’ by Anil & Preema was another beautiful number followed by ‘Kapad’ melodiously rendered by Joseph Mathias, Maxim Pereira & Dony Correa. 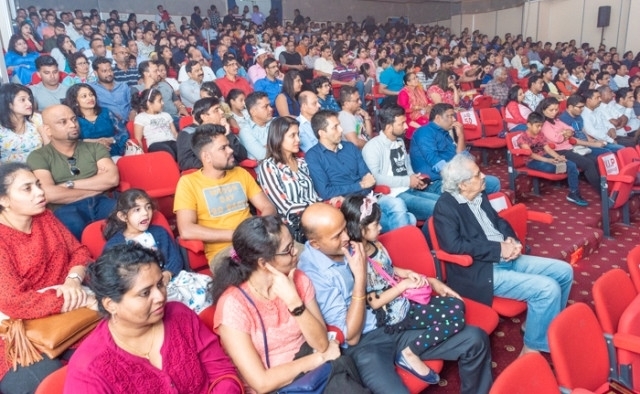 In between the singing and in right intervals were 3 beautifully enacted Comedy punching acts by ‘Sangon Mugdana Kalakar’ Team comprising of multi-talented crew Lavina Fernandes, Godwin Castelino, Roystan Pereira, Paul D’Souza Paladka & Venetia Rodrigues which was brilliantly presented and was ably supported by Rohan with background Music. 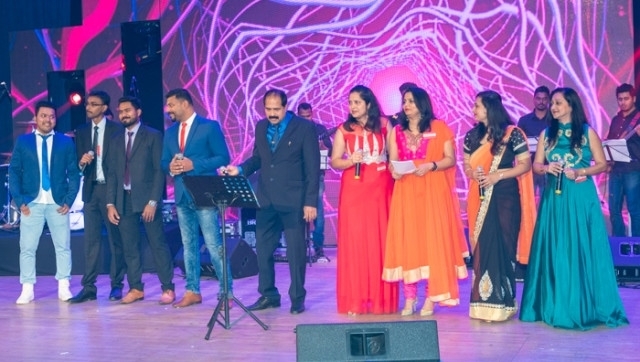 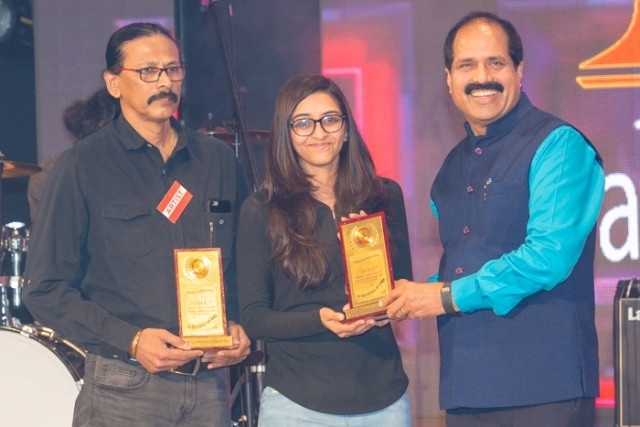 Roshan D’Souza Angelore was the Music arranger and along with him the team of G-major artistes were honoured on the stage. 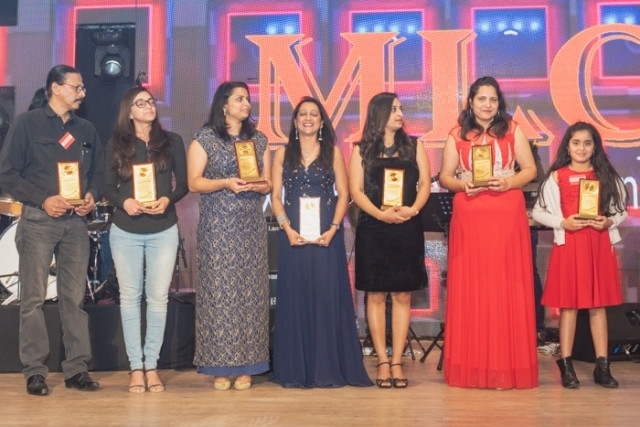 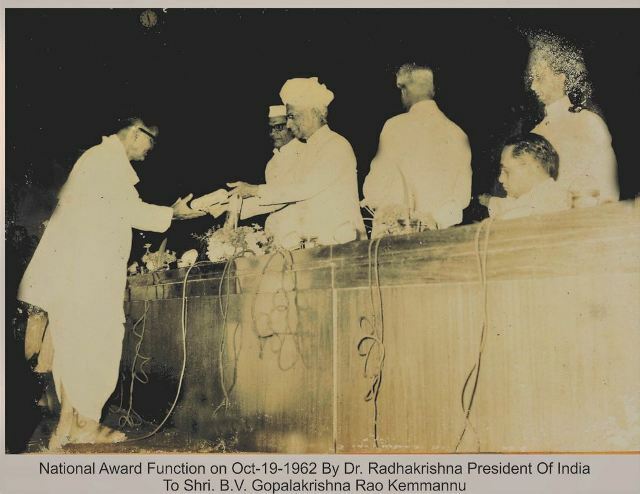 All the performers and the MC’s were individually honoured and felicitated. 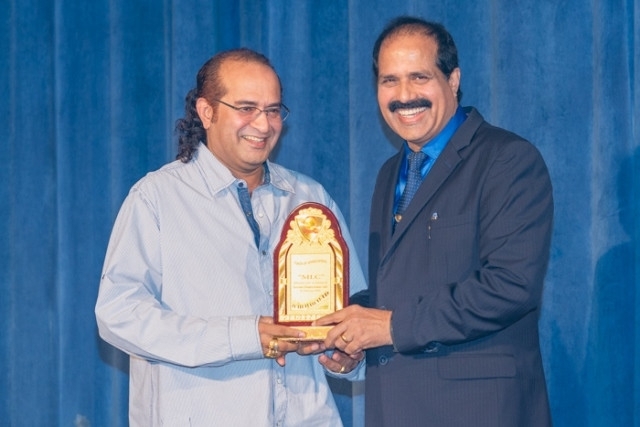 There was a surprise felicitation to Joseph Mathias and he went emotional accepting the honour. 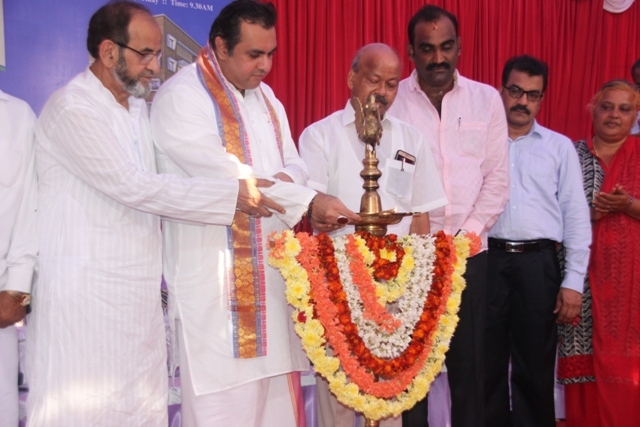 He spoke well and thanked all those who have supported him in this venture. 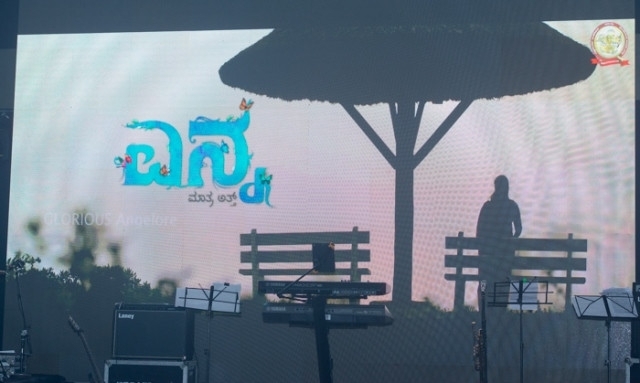 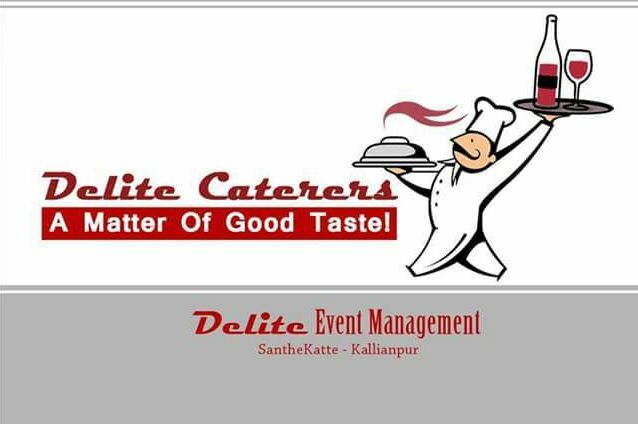 Outside the venue was tasty savory food stall with variety of Mangalorean delicacies by Dasprakash Restaurant including ‘dukra maas’ & ‘Sanna’.